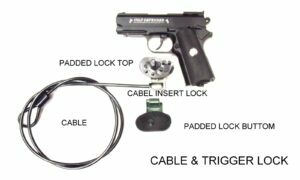 Our NG-900 Anywhere Dual Protection Cable Gun Lock is a one-of-a-kind firearm security system that can be used with almost any type of firearm. 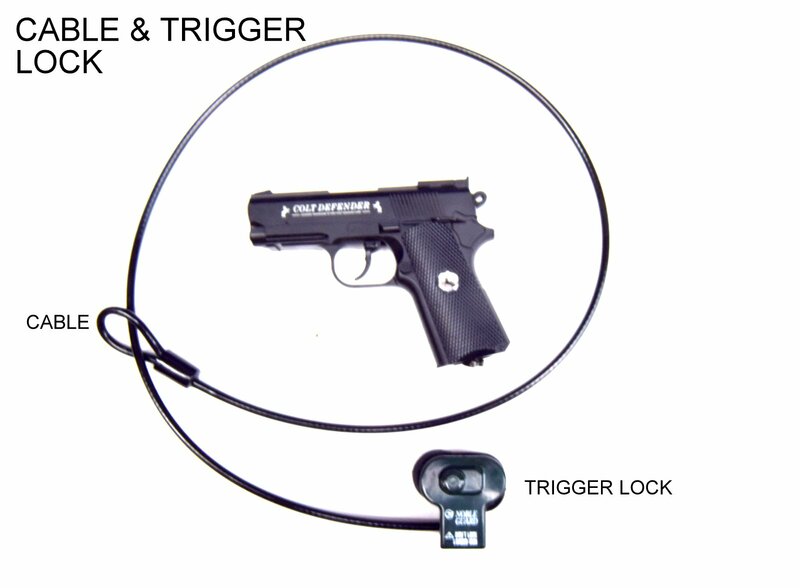 Developed with unique technology, this extremely versatile gun lock combines accessibility with unmatched safety & theft protection. 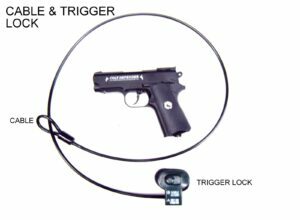 Designed to secure your firearm to anywhere and almost anything the system’s 4 foot, heavy-duty steel cable can wrap around, while at the same time locking your gun’s trigger. There’s nothing like it! Once locked, your gun cannot be moved or fired accidentally by an unauthorized user. The system comes in two parts: the locking mechanism & steel cable. The cable has a bolt at one end and a loop at the other. To use, just run the bolted end of the cable around whatever you would like to secure your gun to, then through the loop, and pull to your desired fit. Next, place the cable bolt into the bolt holder on the bottom of the locking mechanism and insert your firearm into the trigger lock. Lastly, push the two sections of the locking mechanism together and lock with the key. 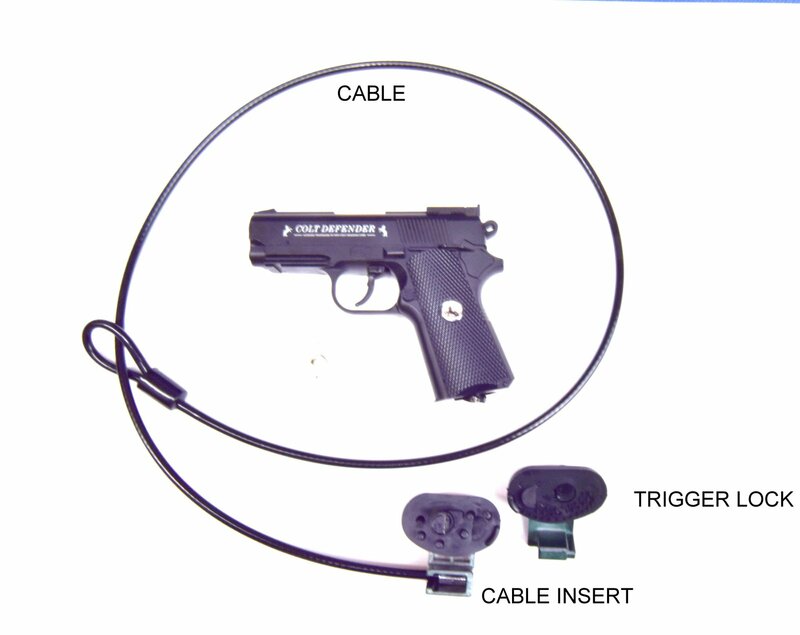 Both your trigger and the cable will be secured. 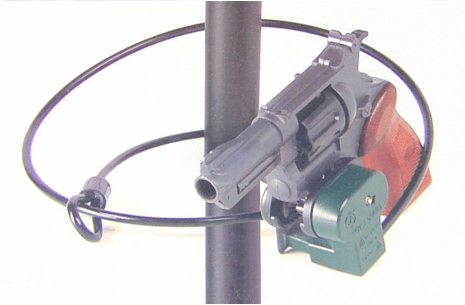 Unlocking the NG-900 Anywhere Dual Protection Gun Lock is even easier. Just insert the key, and with a flick of the wrist the trigger lock is disengaged and cable bolt is released allowing you to access your firearm in seconds. No assembly is required and everything is ready to go straight from the box. The NG-900 is perfect for travel! Lock your gun anywhere!